The New 2019 Acura RDX Costs How Much To Lease!? Is the larger MDX the better deal? Acura recently announced that pricing for its redesigned , including destination. That’s darn reasonable because it’s exactly the same as the outgoing 2018 model. 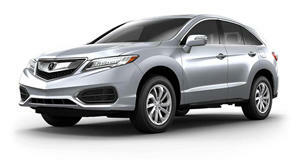 However, has uncovered that leasing a new RDX is pretty darn expensive. In short, it’s only $5 per month cheaper to lease than the larger MDX, whose base price is $6,900 more than that of the RDX. Let’s break this down. You can lease a new 2019 Acura RDX this month for $409 per month for 36 months. Another $2,999 is due at signing and the vehicle has a 10,000 miles per year allowance. This is based on an MSRP of $38,295, but the effective cost is $492 per month. 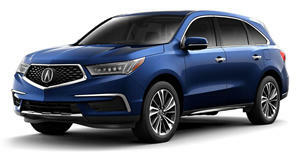 However – and here comes the kicker – an also brand new MDX is currently being advertised at $419 per month for 36 months with $2,799 due at signing. It has an MSRP of $45,195, but the effective cost is $497 per month – only $5 more monthly and a $6,900 MSRP price difference than that of the RDX. Why do the two have nearly identical lease prices? The devil is in the details. The RDX apparently has a residual value of 63 percent whereas the MDX’s is 58 percent. Also, the RDX doesn't have any factor lease discounts while the MDX offers a $2,050 discount in factory lease cash. These combined reasons are what’s making the RDX so pricey to lease at the moment, though this likely won’t last because the vehicle is brand new. But what if you’re already an Acura owner and you’re keen to get into a 2019 RDX? Acura is right now offering those owners, or those currently driving a 2009-or-later Audi Q5 or Lexus RX, two of the RDX’s biggest competitors, $1,000 bonus cash. This reduces the monthly lease payment by $30. But if you really want the best deal, then go for deal on the outgoing 2018 RDX: $299/month for 36 months $2,499 due at signing.